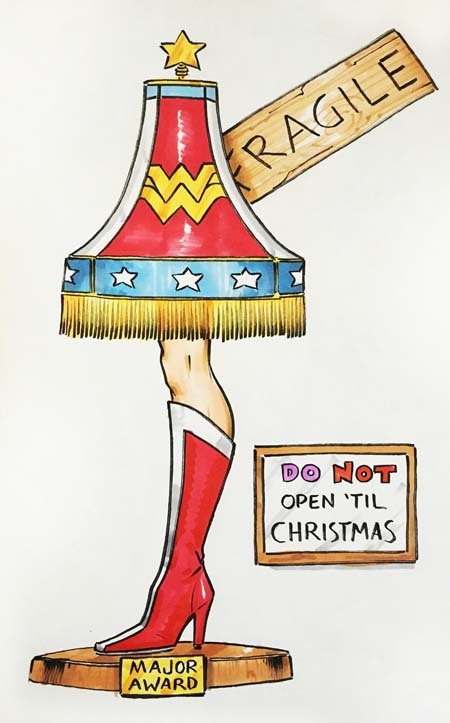 Everyone loves “A Christmas Story“, and especially the lamp, but when DC did their versions, they only did Batman and Superman (that I saw). I always thought that was a wasted opportunity! Here’s what I wanted to see. Hope the in-laws got a kick out of it, it was the mail art to their Christmas present this year. HA!